The program is designed to help people who are low-income, veterans, or living in rural areas get telemedicine care. 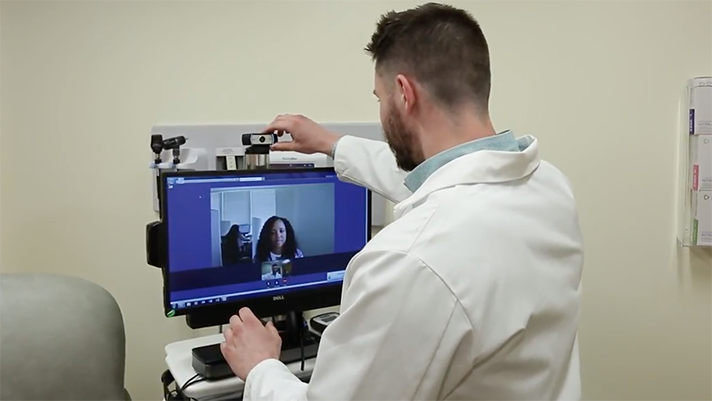 “We’re seeing a trend in telehealth towards connected care everywhere,” Carr said in a statement. “The FCC has long supported the deployment of broadband to healthcare facilities, but advances in technology mean that high-tech, life-saving services are no longer limited to the confines of connected, brick-and-mortar facilities. In an op-ed that the pair published in the Clarion Ledger announcing the initiative, they pointed to a pilot program conducted by the University of Mississippi Medical Center that used remote monitoring to care for people with Type 2 diabetes. In that study, researchers saw an average 1.7 percent reduction in HbA1c levels and a cost savings upwards of $650,000. One of the focus areas of the proposed program is preventing re-hospitalization. Wicker and Carr have said that the program could lead to long-term cost savings. In addition to the Mississippi study, the pair also pointed to the cost saving that the Veterans Health Administration has reported from its remote monitoring program. The Department of Veterans Affairs has spent some time investigating telehealth. In fact, in May, the agency finalized its federal rule which allows providers to deliver patient care across state lines and outside of a VA facility using telemedicine. The Trump administration has also pledged to allow for the expansion of telemedicine services, specifically looking at treating people with opioid addiction. Carr and Wicker's proposal is still in its early days. Up next, the FCC will vote on a Notice of Inquiry about the project at an opening meeting in August.